In the 1960’s and 1970’s, hair analysis was used to evaluate exposure to toxic heavy metals such as arsenic, lead or mercury. At this time, examination of hair for organic substances, especially drugs, was not possible because analytical methods were not sufficiently sensitive. In 1979, Baumgartner and colleagues published the first report on the detection of morphine in the hair of heroin abusers using RIA. Today, Gas Chromatography, coupled with Mass Spectrometry (GC-MS) is the method of choice for hair analysis. Pubic hair, arm hair, and axillary hair have been suggested as alternative sources for drug detection when scalp hair is not available. Beard hair grows at about 0.27mm/day and is considered a suitable alternative. The major practical advantage of hair testing compared with urine or blood testing for drugs is that it has a larger surveillance window (weeks to months, depending on the length of the hair shaft, against 2-4 days in blood and urine). Drugs can enter the hair from exposure to chemicals in aerosols, smoke or secretions from sweat and sebaceous glands. Finally, chemicals present in air can be deposited onto the hair. Sweat is known to contain drugs present in the blood. It has been demonstrated from various studies that, after the same dosage, black hair incorporates greater quantities of drugs than blond hair (Henderson et al., 1998; Hold et al. 1999). Collection procedures for the analysis of drugs in the hair have not yet been standardized. In most published studies, the samples are obtained from random locations on the scalp. Hair is best collected from the area at the back of the head, called the vertex posterior. 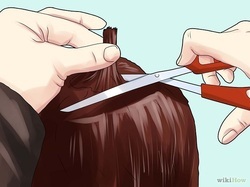 Hair strands are cut as close as possible to the scalp, and the location of the root tip must be indicated. The sample size required for analysis varies considerably between laboratories and depends on the drug to be analyzed and the test methodology. As a guide, many laboratories that a hair sample equivalent to the thickness of a pencil should be collected and submitted for analysis. The most crucial issue facing hair analysis is the avoidance of technical and evidentiary false positives. Technical false positives are caused by errors in th4e collection, processing and analysis of the specimen while evidentiary false positives are caused by passive exposure to the drug. Most but not all laboratories use a wash step. Among the agents used in washing are detergents such as Prell shampoo, surgical scrubbing solutions phosphate buffer and organic solvents such as hexane. Generally, a single washing step is performed, sometimes, a second identical washing is employed.